Cultural revolutions are underway in two nation-states -- India and Israel -- founded by secular nationalists in the late 1940s. 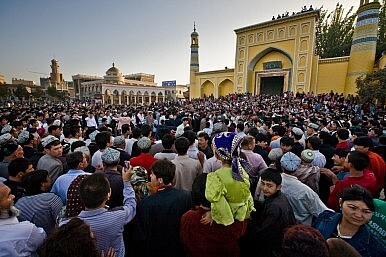 Right-wing demagogues, emerging in both countries from among previously unrepresented masses, seek to forge a new national identity by stigmatizing particular religious and secular groups. There are eerie similarities between the Hindu thugs who assault Muslim males marrying Hindu women and followers of the far-right Israeli group Lehava (Flame), who try to break up weddings between Muslims and Jews. The new ruling classes seem obsessed with moral and patriotic education, reverence for national symbols and icons (mostly right-wing), and the uniqueness of national culture and history. 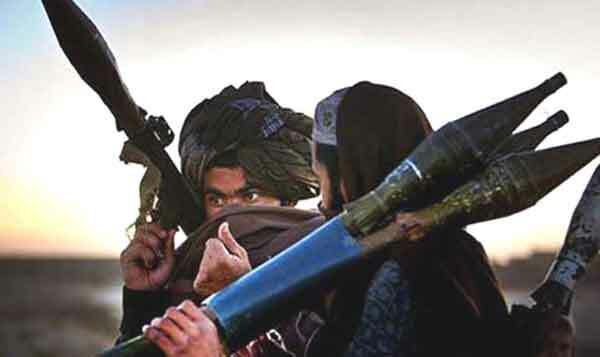 The term Global Terrorism or more correctly ‘war against terrorism’ came in vogue only after 9/11 when the US suffered terrorist attack on its homeland as a blow back to its misguided Afghan policy. It is important to remember that Osama Bin Laden was an erstwhile American ally in war against the Soviets and the Madrasa curriculum to churn out Jihadis/Mujahids was evolved in an American university. …a second generation slum dweller becomes either a criminal or a terrorist, the danger multiplies manifold when the two get linked due to ideological factors or religious motivation. In 21st century society, especially in the developing world, seems to have become immune to violence. In India, the 24 hour news channels show endless series of violent incidents, day in day out. Sometimes it is farmers, sometimes traders, students or just bystanders at an accident site. The typical cycle of violence is, roads are blockaded, policemen are attacked and government property is burnt. Subsequent reports clearly bring out that persons indulging in the violence were not farmers, students,and traders or related to the accident victim at all but unemployed high school graduate youth! When asked why they were doing it, the chilling answer was that there was nothing else to do any way and that the sponsors paid well for this activity and they got a chance to be on the TV. Behind most acts of violence is the basic economic fact of unemployment. On Wednesday, the Indian Defense Ministry announced that it had cleared $4.74 billion for the purchase of new military equipment, including four long-range military patrol aircraft from the United States. Specifically, India will purchase four additional Boeing P-8I Poseidon surveillance aircraft, among the most advanced maritime intelligence, surveillance, and reconnaissance (ISR) aircraft currently available. 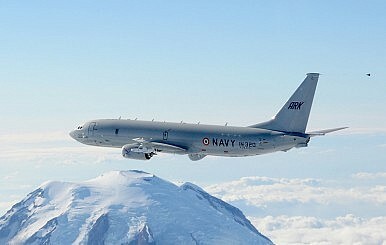 India placed an order for eight P-8I aircraft in 2009—the latest order is four an additional four units. India's Top Banker: World Heading towards New Great Depression? The head of India’s central bank, who predicted the 2007-2008 financial crisis, is now warning that the world may be gradually headed towards another Great Depression. Speaking at an economics conference at the London Business School late last month, Raghuram Rajan, the governor of the Reserve Bank of India, claimed that the monetary policies of the leading developed nations could be creating conditions similar to those that led to the Great Depression. “I do worry that we are slowly slipping into the kind of problems that we had in the thirties in attempts to activate growth,” Rajan said, according to multiple reports. Rajan, who previously served as the International Monetary Fund’s chief economist, was referring to the efforts by central banks in developed countries to use excessively low interest rates to spur economic growth following the global financial crisis. These policies, commonly referred to as quantitative easing, have been adopted by the central banks of the United States, the European Union and Japan. Satellite imagery has confirmed the visit to Karachi of a People's Liberation Army Navy (PLAN) Type 041 'Yuan'-class diesel-electric attack submarine (SSK) in late May. After decades of operating legacy Soviet platforms, Vietnam’s navy is acquiring advanced new frigates from Russia and the Netherlands, capable new Russian diesel-electric submarines, and a host of modern anti-ship cruise missiles. The Philippines has nearly doubled its fleet of surface combat vessels in the last five years and is working to acquire two advanced new frigates. Malaysia was among the first in the region to add advanced submarines to their fleet and is indigenously building six new advanced French-designed frigates. Meanwhile, Indonesia is building two new Dutch-designed frigates and acquiring two improved South Korean submarinesas part of an ambitious 20-year modernization and expansion program. 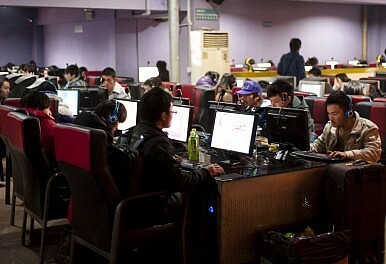 Beijing hopes to make cyberspace “safe and harmonious” territory. China has been eager to claim its “Internet sovereignty” since the 18th party congress, with Internet control naturally topping the central leadership’s agenda. The recently released cyber security law draft, while aiming to codify the previously scattered Internet regulation policies and solidify Cyberspace Administration’s status as the leading Internet governing body, has demonstrated the country’s determination to take a more effective and concentrated approach to make cyberspace “safe and harmonious” territory. The draft legalized China’s use of the Great Fire Wall to deny domestic citizens’ access to information the authorities deem as forbidden by laws and regulations. Article 43 of the draft states that the cyberspace administration and relevant departments shall notify relevant organizations to adopt technological measures and other necessary measures to block the transmission of information that is prohibited by Chinese laws and regulations. India aspires to have a 200-ship navy by 2027, a senior naval official revealed this week. According to India’s Economic Times, Admiral P. Murugesan, the vice chief of India’s naval staff, said that the navy is seeking to have 200 warships operational by 2027, up from just 137 at present. “The senior officer shared that the aspiration of the Navy—which currently has 48 ships under construction on various shipyards across the nation—is to become a 200 ship navy by 2027. At present, the Navy operates 137 combatants with new ships being added at a rate of 4-5 a year,” the Economic Times report said. This means that India’s shipyards will have to ramp up production in the coming years, especially when factoring in that some of India’s current warships will have to be retired by 2027. A more likely scenario is that India will purchase more foreign ships in the years ahead in order to reach its target of 200 ships. 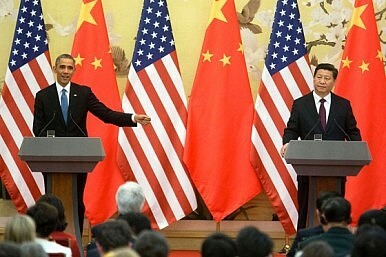 If America Went to War with China, What Would Washington's Allies Do? The ANZUS study released this week by SDSC in conjunction with CSIS (PDF) says a lot of interesting things about the U.S. alliance, but it seems to evade the hard issue at the heart of the strategic choices confronting both Australia and America today: what order do we wish to see in Asia in the Asian Century, and what role should America aim to play in it? "Ultimately, U.S. and Australian grand strategy must return to first principles: what is the regional and global order we seek; what are the ways and means we have to achieve and sustain that order; and howthen does our strategic approach to China fit in?" Xi Jinping's Great Game: Are China and Taiwan Headed Towards Trouble? "There is a significant possibility that if Tsai Ing-wen is elected president of Taiwan next January, a cross-Strait crisis could ensue." Taiwan’s presidential election is still six months away, but it seems increasingly likely that the Democratic Progressive Party (DPP)’s Tsai Ing-wen is going to win. In the latest TVBS public opinion poll on July 7, Tsai leads the Kuomintang (KMT)’s Hung Hsiu-chu 42 percent to 30 percent. Among the those closely watching the possible return of the DPP to power is the People’s Republic of China, which worries that if elected, Tsai will deny that the two sides of the Strait belong to one China and pursue de jure independence. This fear derives from Tsai’s past history as the creator of the “two states theory” in the Lee Teng-hui era as well as her current unwillingness to accept the existence of “one China” even as she pledges to maintain the status quo across the Taiwan Strait. Beijing could react harshly if Tsai is elected on January 16 as the next president of Taiwan, including by taking punitive economic measures, suspending communication and cooperation mechanisms, stealing away some of Taiwan’s diplomatic allies, or even using military coercion or force. The Philippines' quest to rein in China is based on legal maneuvers rather than warfare. Can it work? 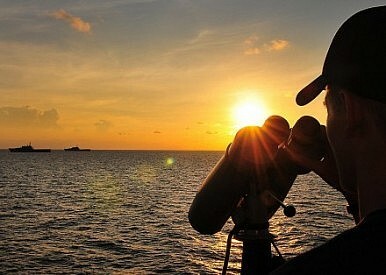 Legal warfare (“lawfare”) in the South China Sea has reached a critical stage. The Philippines has gone full force in using the language of the law to rein in Chinese territorial claims, dispatching its top officials from across all branches of its government to the Arbitral Tribunal at The Hague. Bereft of any tangible capabilities to optimally defend its territorial rights, the Southeast Asian country has embarked on a years-long quest to peacefully manage its territorial disputes with China. Banking on more than two years of extensive legal preparations, which gave birth to thousand-page-long memorial and supplemental arguments, the Philippines is trying to convince the arbitration body that the merits of its case deserve to be adjudicated upon. But beyond the ambit of Philippine-China territorial disputes, what is at stake is the necessity to ensure all modern nation-states adhere to their treaty commitments under prevailing legal principles. As signatories to the United Nations Convention on the Law of the Sea (UNCLOS), China and the Philippines, which ratified the convention in 2006 and 1984 respectively, are expected to make maritime claims and resolve their disputes based on modern international law, not obscure doctrines from the pre-modern age or shady maps from the colonial era and/or those concocted by hyper-nationalist elements. President Obama finally has his deal with Iran. The contents of the Joint Comprehensive Plan of Action (JCPOA), as it is known, are probably a disappointment even to the administration and a provocation to its critics, especially Israeli Prime Minister Benjamin Netanyahu. It is going to take weeks of public debate among experts to figure out the implications of the nearly 100-page agreement, so take everything said over the next week with some caution. But at the very base level, we know this: The Iranian regime gets relief from sanctions. The United States and its partners get some diminishment of Iran's nuclear capability, some visibility of its nuclear development through an inspections regime, and a delay on the development of weapons. The deal isn't a treaty, and so Congress likely does not have the power to stop its implementation. But because it isn't a treaty, a future president has some latitude in re-interpreting or scuttling the deal. The deal with Iran is done. Called the Joint Comprehensive Plan of Action, it contains neither novel nor new “anywhere, anytime” inspections as called for by U.S. Energy Secretary Ernest Moniz – one of the deal’s key architects – earlier this year. The deal does however require many new things of Iran that are quite nice to have. But it treats them that way, as a kind of favor, of a provisional nature, and with unspecific terms for how very detailed names of equipment and data really will be monitored, stored, contained, and surveilled, let alone specific enforcements against violations. The Iran deal could give birth to a heavily proliferated world, one in which fears present since the creation of nuclear bomb-making technology are realized. The United States has indeed moved from a nonproliferation regime of denial to a permissive one of limited approval for sensitive nuclear technologies. And, the United States has not kept pace, legally or technologically, in verifying Washington’s ability to get a timely warning that somebody else is working on the bomb. In Iran’s case, all this nuclear liberality is for the confused notion that the international community is preventing Iran from getting a nuke for another 15 years. But that isn’t the case. Iran will have a very free atomic hand in the future thanks to the deal. Military robotics and unmanned systems are gaining popularity across the globe. The United States is the leading developer and user of various unmanned air, land, and sea systems, but other nations are not far behind in their desire to field these platforms. Over the past few years, Russia has made significant technological breakthroughs in the development and exploitation of unmanned systems, although their quality is the subject of domestic and international scrutiny. Most notably, Russia supplied reconnaissance drones to rebels in Eastern Ukraine. These have bolstered rebels' accuracy in targeting Ukrainian government forces. Despite the Russian domestic industry's inability to meet its nation's full demand for such systems - a shortcoming that prompts foreign technology purchases - the Russian Ministry of Defense has big plans for unmanned and robotics platforms and has been working on several concepts. Russian daily Izvestia recently learned of one such development - an unmanned battlefield complex resembling the Terminator, designed by Defense Ministry's 766th Production and Technology Agency (JSC UPTK 766). Earlier, the UPTK developed auxiliary equipment such as robotic crawler machines used for demining (Uranium-6) and firefighting (Uran-14). The current development features armed coaxial machine guns and several fighting modules. Izvestia obtained an image of this battlefield complex, which includes a tracked chassis on a soft suspension, an optical-radar station, cameras, thermal imaging and night vision devices. The machine appears to be armed with a coaxial machine gun; additionally, there are boxes on each side of the machine that remotely resemble aircraft nacelles. JSC 766 UPTK refused to comment to Izvestia on the functions and features of this technology, citing military secrecy, and the Defense Ministry's press service also declined a request for comment. On June 11, 2015, a UN report revealed that North Korea had provided marine engines and military patrol boat replacement parts to Angola, in violation of UN sanctions. Similar long-term contracts for military equipment have also been developed between North Korea and East African nations, like Uganda and Tanzania. North Korea’s trade partnerships with anti-Western regimes in Sub-Saharan Africa have largely been formed under the radar of the Western media, which has typically focused its coverage on Chinese economic investment in Africa as the principal link between Africa and the Asia-Pacific region. Insufficient attention to North Korea’s bilateral defense linkages has helped give North Korean foreign policy an irrational image. 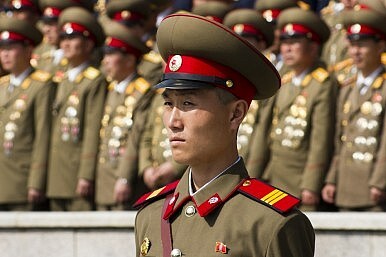 In Africa, however, North Korea possesses a coherent strategy and its bilateral defense ties with African countries must be considered in the broader context of Kim Jong-Un’s attempts to create allies for North Korea through shared opposition to Western neo-colonialism. "To remain afloat, the Greeks have handed over their sovereignty and the last vestige of their democracy." Greece has surrendered the last of its sovereignty. After a referendum widely interpreted to be a rejection of austerity, Greece has agreed to (though not enacted) even stricter reforms. The new deal heralds the final seizure of Greek rights and should frighten any nation contemplating a similar path. Many of the reforms required by the creditors, such as lifting restrictions on pharmacy ownership, are relatively painless. But others, such as reform and stability of the pension system will be far more difficult to implement politically. Trust is lacking on both sides and must be rebuilt before either side can trust the other again. 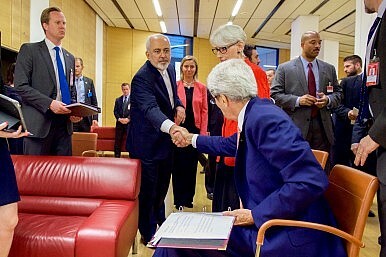 The Iran Nuclear Agreement: Tehran "Achieved All It Wanted"
"Iran will have little trouble cheating IAEA inspectors while it proceeds along its path of nuclear weapons development. After five years, it will have complete freedom to acquire arms of all sorts." President Obama now has the deal he eagerly sought—so early, in fact, that he reportedly instructed his negotiators to bring home a deal no matter what.According to Mr. Obama, the so-called Joint Plan of Action (JPOA) “demonstrates that American diplomacy can bring about real and meaningful change—change that makes our country, and the world, safer and more secure.” Real and meaningful change will certainly be the result of this agreement. Unfortunately, the change will only be for the worse. – Iran will be recognized by the UN as a country with nuclear technology and entitled to rights of peaceful nuclear program including enrichment and full fuel cycle. On both sides of the Atlantic the battle over encryption is hotting up, with the FBI continuing to press its case for access and the British government making noises about its fears of what an encrypted future might mean. The talk is of how ubiquitous encryption will lead to spies and law enforcement “going dark”. In recent years, the state could compel national telecoms providers to give them access to data traffic, which the spies could then read. But those companies are seeing more and more of what passes through their pipes encrypted by service providers. And since Edward Snowden revealed the extent of governmentsurveillance, those providers and other tech companies have come to see offering privacy as a selling point to their customers. But if end-to-end encryption becomes increasingly ubiquitous, is it the end of the line for the spies? History suggests not. The focus of the 1Malaysia Development Berhad (1MDB) financial scandal is constantly shifting. 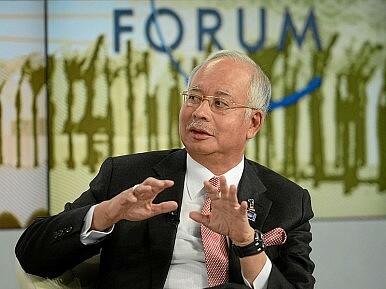 Politicians and civil society groups across Malaysia expect extraordinary allegations of financial irregularities at the fund, established by Prime Minister Najib Razak, to be independently investigated and justice delivered. But increasingly, public anger is being misdirected through the media lens and politicians obsessed with a battle royale between Najib and his nemesis Mahathir Mohamad, whose desire to see Najib ousted and his son Mukhriz promoted within government ranks has been well documented. This point was driven home by former deputy prime minister Musa Hitam, who described the 90-year-old Mahathir as a “political terminator,” arguing he would succeed one way or another in driving his third prime minister from office. The other two were Malaysia’s first prime minister, the well-respected Abdul Rahman, who stepped down after the race riots of 1969 — and Najib’s predecessor, Abdullah Ahmad Badawi, forced out of politics in 2009. This year, both North Korean authorities and international agencies and experts have once againspoken of a drought, the worst in one hundred years according to the North Korean government news outlet. UNICEF, the UN agency for children, has already reported that North Korean children are suffering from an increased prevalence of diarrhea associated with a lack of safe drinking water. It’s business as usual, in other words. 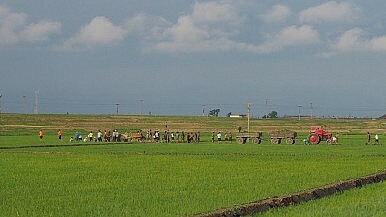 The alarm bells of North Korean food shortages and natural disasters are a yearly phenomenon with the same regularity as Christmas. In the summer of 2007, the country was hit bysome of the worst floods in its modern history, which saw 200,000 people displaced and at least hundreds killed. Floods devastated the country again both in 2012 and 2013, albeit on a smaller magnitude. And as recently as June last year, just like this year, North Korea reported that it was facing a drought – then the worst in a decade. I’ve read the text of the Joint Comprehensive Plan of Action (JCPOA) between Iran and the P5+1 and have one main reaction: this is a good deal, delivering or exceeding the expectations set out in early April when the P5+1 and Iran announced a framework JCPOA in Lausanne, Switzerland. Iran has committed to a wide-ranging set of concessions that will gut its nuclear program, making it unreasonably costly for it to sprint to a nuclear bomb. In exchange for its concessions, world powers, including the United States and the European Union, will lift a range of nuclear-related sanctions, helping Iran open back up for business. Most of what’s in the document was unsurprising and in line with the U.S. fact sheet released after the Lausanne framework. What many observers of the Iran talks have been pleasantly surprised by is the sophistication of the mechanism included in the final deal that could allow the United States and its three P5+1 European allies to reinstate sanctions against Iran if Tehran is found to be violation of the terms of the agreement. Notably, this “snap back” mechanism would allow the United States to reinstate U.N. sanctions without the acquiescence of Russia and China (despite their United Nations Security Council vetoes). Scientists found hammerheads swimming inside the crater of an underwater volcano–do they know when it’s about to blow? Scientists studying the activity of an underwater volcano in the Solomon Islands were shocked when a hammerhead shark emerged from the cloud inside the volcano’s crater. 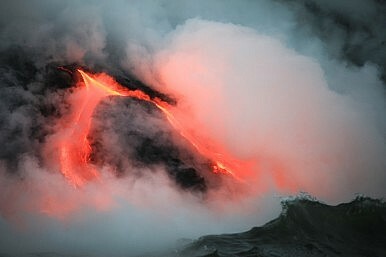 Kavachi, also called Kavachi’s Oven, is one of the world’s most active submarine volcanoes and has risen above the waves eight times since 1939, only to erode back into the sea. The water around the volcano is extremely acidic and the heat rises the closer you get. “Divers who have gotten close to the outer edge of the volcano have had to back away because of how hot it is or because they were getting mild skin burns from the acid water,” Phillips said. A Scary Thought: Could America Become the Next Greece? "If U.S. policy makers and the public take away only one key lesson from what’s happening in Europe right now, it should be to put the budget on a path to balance during good times such as these." In June, Greece defaulted on a $1.73 billion payment to the International Monetary Fund. In a national referendum shortly thereafter, the Greeks strongly rejected European conditions for receiving yet another bailout. For the first time in the Eurozone’s history, the exit of one of its member countries became a very real possibility. This week, Athens dodged a steep financial crisis—at least for now. Greek leaders capitulated to the Europeans. Athens will get its third bailout since 2009 in return for enacting certain reforms demanded by its European creditors. Among the demands arenational asset sales (including privatization of Greece’s power distribution network), labor-market reforms, reductions in public pensions and an increase in the national sales tax. While the Greek government grapples with implementing these long-overdue yet hugely unpopular reforms, there is a silver lining here: Good labor-market and fiscal reforms can spur economic growth. By not accepting Syriza's demands, Greece's creditors are putting the nation's political stability at risk. Syriza has failed. Elected six months ago on a promise to ease the domestic costs of Greece’s gargantuan burden of debt, the government of Alexis Tsipras has now caved in to most of its creditors’ demands—albeit after a spirited struggle to avoid this fate. Still, the Eurozone’s finance ministers ought not to feel too triumphant; for while they might have succeeded in forcing austerity down the throats of the recalcitrant Greeks—pending parliamentary approvalsoon, that is—there is a very real sense that Syriza’s failure is Europe’s failure too. What is more, the effects of that failure could be quite profound. Syriza’s non-fulfillment has not been for a lack of trying on its part. For months, rational economic arguments have been married with emotional appeals to European solidarity. Its leaders even tried to gain leverage over the rest of the eurozone by dallying with Russia’s Vladimir Putin, hardly a natural comrade for leftists. Most dramatic, of course, was Tsipras’s surprisereferendum gambit—a populist move that seemed for a moment to bring Greece to the brink of “Grexit.” Syriza has been nothing if not creative in its bid to find wiggle room vis-à-vis its creditors.